Screw conveyor is widely used in oil drilling site for waste material transferring. This week, GN completed the fabrication of a batch screw conveyers ordered by a client from Africa. 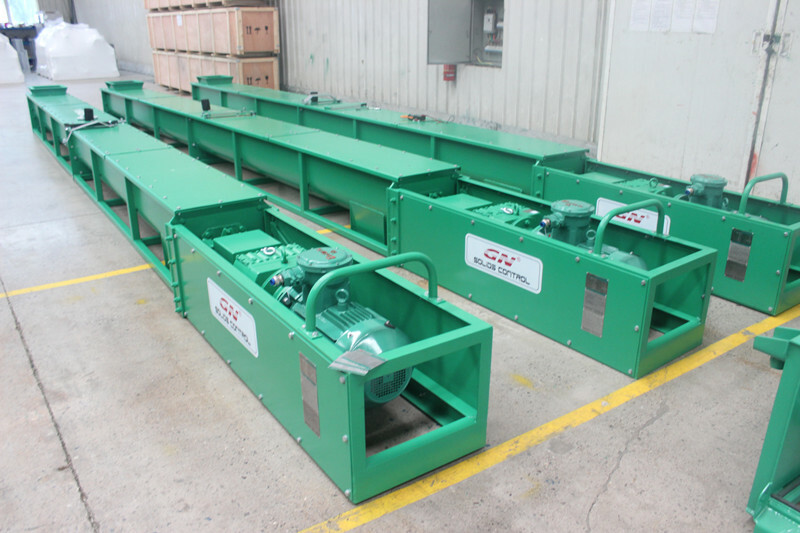 After the factory delivery inspection, these screw conveyers would be shipped out. 1. For drilling waste cuttings collection and transferring. In mud system, the drilling fluids coming out from the well will be feed into the shaker, cyclone and decanter centrifuge step by step. In each state, the drilling cuttings with different size will be discharged out from fore mentioned equipment. 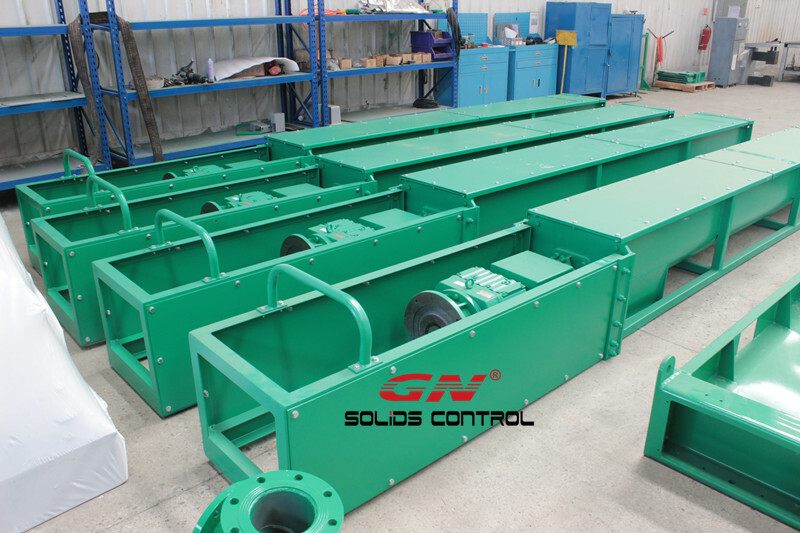 The screw conveyor is the ideal equipment to collect all the waste cuttings and make a pit-less mud recycling system. 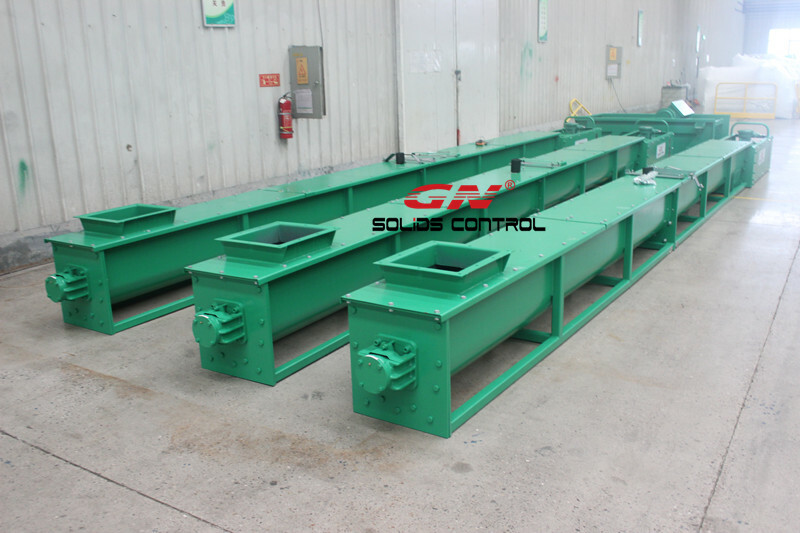 For this purpose, several unit screw conveyor would be installed beside the mud tank and under the separation equipment discharge chute with the top cover open for easy collection. 2. For waste cuttings treatment and transferring. The collected waste cuttings still has large content liquid that can be recovered. According to the position of the cuttings dryer unit, operators can adjust the location of the screw conveyer for feeding the waste cutting into the dryer unit. More drilling fluids would be recover, less waste will be discharged. In the meanwhile, an extra screw conveyer unit can be positioned under the discharge port of the dryer unit so that can transfer the treated cuttings out of the system. GN screw conveyor is designed to offer an efficient, low cost, cutting transportation system both offshore and onshore drilling installation. Per client's requirement, the variable frequency motor can be adopted for freely speed control. For safety consideration, the whole body of the screw conveyor is fitted with protective grating or cover to prevent foreign matters entering the conveying system. For more information on the screw conveyor, please feel free to contact with GN.